The Department of Teacher Education is unique in its emphasis on excellence and innovation. We don’t just want to graduate teachers; we aim to produce the best teachers. We are constantly on the move, striving to better our instruction, internships and technology to product graduates who are passionate and highly effective educators. The focus of Teacher Education at Newberry College is on teaching ... and we do it well! We are passionate about what happens in our classrooms and we love working with the diverse group of students who choose Newberry College. The Departmet of Teacher Education is committed to the growth of its students. We do not expect our students to find their way on their own. We are here–as teachers, mentors, and advisors to guide and push students in our majors toward optimum performance and success. We have in place several “gateways” that guide our teacher candidates from the early education courses, through methods, field experiences and, finally, to their internship. The intent of our program is to foster each candidate into developing his or her own teaching style, begin networking within the education community and incorporating the knowledge, skills and dispositions learned in core and specialized curriculum into a successful classroom experience. All of these lead to aspiring teacher's future success. Registration is now open for the Newberry College Teacher Education Summer Camp July 15 - 18, 2019, on the Newberry campus. Click here to apply. Meet students who share your passion for teaching, experience college life in our brand new residence hall, explore our beautiful campus and discover the opportunities open to Newberry students. Click here to download flier. The RETAIN Center of Excellence was created at Newberry College in 2010 to focus on the issue of retaining the state's in-service teaching professionals. 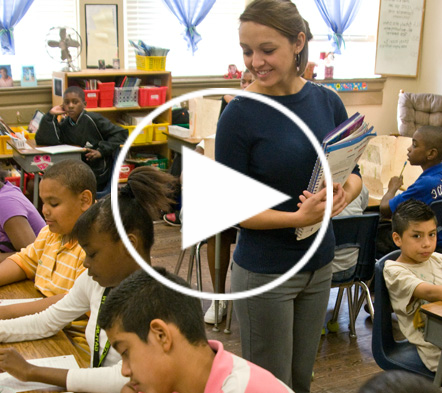 RETAIN seeks to increase teacher retention in South Carolina by providing quality professional development, mentoring, and support for new teachers. RETAIN hosts the annual statewide New Teacher Induction Symposium for teachers in their first three years of teaching each summer. This event has impacted hundreds of South Carolina teachers over the last four years. Additionally, RETAIN hosts the annual GROW Symposium for college education majors from multiple schools to collaborate, network, and learn from one another. The RETAIN Center of Excellence is passionate about supporting new teachers and preparing pre-service teachers for the classroom. We are making a difference in teachers and schools all over South Carolina. For more information about RETAIN and all of our events and programs, please visit our website at www.retainmentoringandinduction.com. All Teacher Education majors are granted membership in the Newberry Education Society. Students admitted to the Teacher Education major are honored at an annual pinning ceremony sponsored by NES. Newberry College partners with 15 high schools across the region welcoming more than 200 students to campus for our annual College Day. The Mentors Instructing Students Toward Effective Role Models (MISTER) program is a national initiative designed to address the shortage of male teachers from diverse backgrounds in elementary schools throughout the nation. Newberry College joined the Call Me MISTER initiative in 2010 and graduated its first MISTER in 2013. Students selected to be MISTERs receive tuition assistance and ongoing professional development opportunities through conferences and internships while they attend college. Candidate admission to the Teacher Education Program is monitored through the Department of Teacher Education located at the Center for Teacher Education. Admission will be granted as soon as the student meets all admission requirements listed below, including successful completion or exemption of the Core Academic Skills tests of reading, mathematics, and writing. Passing standards are established by the State of South Carolina. Students must be admitted by the second semester of the sophomore year to stay on track for on-time graduation. If candidates have not passed all three Core tests after three attempts, they should talk with their academic advisor and the Chair of the Department of Teacher Education immediately to discuss a change of major or program. Failure to follow college and state deadlines may result in a delay of one or more semesters in a candidate’s program and planned graduation. Satisfactory completion of 45 semester hours of college work with a grade of C or better in EDU 224, EDU 228, EDU 230, EDU 232 and EDU 300.. Passing scores on Core reading, mathematics, and writing tests with Newberry College listed as a score recipient or evidence of exemption based on college entrance exams (22 or higher on the ACT, 1100 or higher on the two part SAT, 1650 or higher on the three part SAT). Minimum overall grade point average (GPA) of 3.0. Reflective essay following a specified writing prompt. The essay will deal with learning in the Core classes, education classes and field experiences and how these learning experiences have informed the teacher candidate. Evidence of positive professional dispositions for teaching. A candidate must apply and be approved to student teach by the Coordinator of Clinical Experiences well prior to the semester in which he/she intends to student teach. Failure to follow required college and state deadlines will result in a delay of one or more semesters in a candidate’s program and planned graduation. South Carolina state law requires that all candidates for the internship submit official fingerprint cards and be cleared through SLED (South Carolina Law Enforcement Division) and the FBI before being allowed to intern. Fingerprints may not be submitted after state deadlines have passed. All candidates must understand that prior criminal records will likely prevent them from participating in the internship and completing an education program. Those with questions should request a meeting with the Chair of the Department of Teacher Education early in their college program. For admission to Internship (EDU 480), GPA must be 3.0 in major/content area. Minimum GPA of 3.0 in the major with a minimum grade of “C” in each course. Minimum GPA of 3.0 in professional education courses with a minimum grade of “C” in each course. Completion of all education and major required courses except EDU 480 and EDU 483. Because the internship is in essence a full-time position, candidates are required to complete all CACP papers and all but three Fine Arts and Lecture requirements prior to the internship. NOTE – Candidates must show evidence of having taken PRAXIS II and PLT exams prior to graduation. Successful completion of all College degree requirements. Successful completion of all Core, subject area, education, and education-required courses with an overall GPA of at least 3.0. Successful completion of EDU 480 Internship and EDU 483 Internship Seminar with grades of at least “C”. Recommendation by the Newberry College Department of Teacher Education for certification by the South Carolina State Department of Education, made in conjunction with cooperating teachers and college supervisors of the internship. Successful completion of all required Praxis II exams in the candidate’s area of specialty, plus the Principles of Teaching and Learning (PLT) test. The B.A. in Early Childcare Management is for candidates seeking to work and lead in the private or public childcare industry after graduation. Students will gain a strong foundation in the developmental stages of children from birth to age five, developmentally appropriate practices, environmental design, administration, and marketing. Additional Required Courses above Core Requirements: PHE 210, HIS 120, SOC 101, SCI 110, and SCI 120. Middle Level majors must be highly qualified in two content areas (English, Math, Science, or Social Studies) and therefore will take two middle level content methods classes (EMD 436, 437, 438, or 439) depending on the areas of concentration. Middle Level majors must take HIS 120 in addition to the Core. Candidates with an English concentration take ENG 230, 233, 250, 322, and an additional 300- or 400-level ENG course. Candidates with a math concentration take MAT 200, MAT 211, MAT 212, MAT 227, MAT 334, and MAT 335. Candidates with a science concentration take BIO 121, CHE 113, SCI 110, and SCI 120. Candidates with a social studies concentration take ECO 210, GEO 135, HIS 111 or 112, HIS 310, and HIS 320. NOTE TO SECONDARY CONTENT MAJORS: Methods courses (ENG 335, MAT 336, SCI 321, HIS 305) required for Secondary majors are listed in the departmental course descriptions. Dr. Melissa Awenowicz joined Newberry College on July 15 as chair of the Department of Teacher Education. Click the links below for reports on Teacher Education compliance.